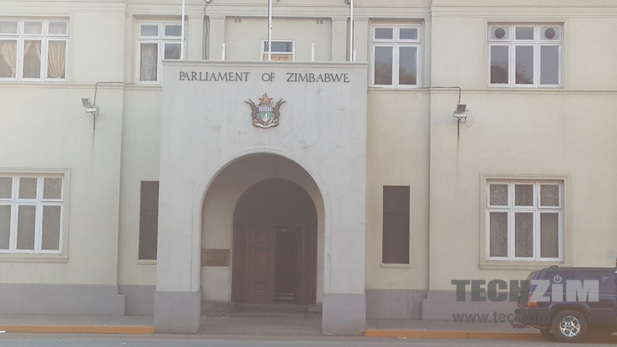 After an official opening that drew a lot more attention than usual because of the wrong speech, the Parliament of Zimbabwe resumes sitting today with an opening session that is supposed to debate several pieces of new legislation. One of the proposed legislative bills, the Electronic Transaction and Electronic Commerce Bill, commonly referred to as the e-Transactions Bill, is set to outline the regulatory parameters for electronic transactions and electronic commerce. The e-transactions Bill will help clear any grey areas around electronic commerce and like two other proposed Bills for Zimbabwean ICT (the Data Protection Bill and Computer Crime & Cyber Crime Bill) it is meant to set the basis for Zimbabwe’s e-Government Policy. Some of the areas covered by the e-Transactions Bill include electronic transactions, electronic contract information, consumer protection for cases related to online transactions and trade, clear parameters for service providers in online commerce as well as online marketing practices. This makes the proposed e-transactions Bill the overarching legislation which will reign in practices related to fairness, pricing and transparency from current operators in e-commerce who include mobile money services, remittances concerns and online traders. The impact of this proposed legislation is significant, considering that mobile commerce in Zimbabwe now has a huge role in the movement of money in the informal sector and has, to a large extent, been integrated into traditional banking channels through crossover products and services that aim to make mobile money the gateway to banking the unbanked population. One other remarkable aspect which will be monitored under this new legislation will be online marketing practices. For a long time this issue has been subject to interpretations of old laws that do not have any consideration of IT, something which has allowed practices such as spamming to be carried without any clear penalties in place. Through guidelines set by the e-transactions Bill, the regulators (POTRAZ and the Central Bank) will be empowered to act on such issues. I agree, and the way to stop them is contact the advertiser and tell them you and your family will never use their product if they advertise on spam lists. I must have 5 different lists sending to me daily, none of which I signed up for. That or the ISPs should manage an internal black list so the spammers can only get hold of people with international addresses. Can you provide the working draft if you have it? Who among our parliamentarians is familiar with e-commerce, e-transactions….excel? Wonder whats going to come out of it. Is there a draft and who wrote that draft? Question Tech-Zim. Have you actually seen the Bill? The draft bill i saw (and i could be wrong here) doesn’t cover much of what you guys think it will cover. It mostly covers the transaction itself eg digital signatures etc but not remittances, or e mobile payments. Hie Techzim, kindly provide a working draft of this Bill so that we can comment on the merit of this article.